I'm working on an Africa project with my little students in my early music & arts education classes. So I was looking for easy African games and came across this children's game. I only had the rules, so here's how I made the supplies. Instead of using a sewing machine, you can use simple pens or make it extra-special with pretty embroidery - well, just be creative! This board game is really easy to play. 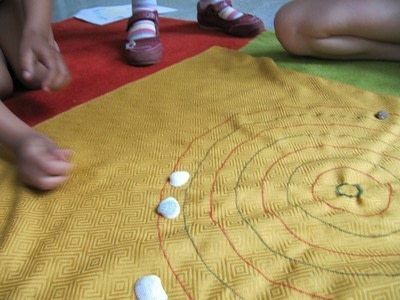 All you need are 8-10 concentric circles on the ground, and a large and small pebble for each player. I'll start with the rules, the how-to is further down. The first child hides the small pebble behind his/her back in one hand. Now the closed hands are shown to the next child who has to guess in which hand the pebble is hidden. 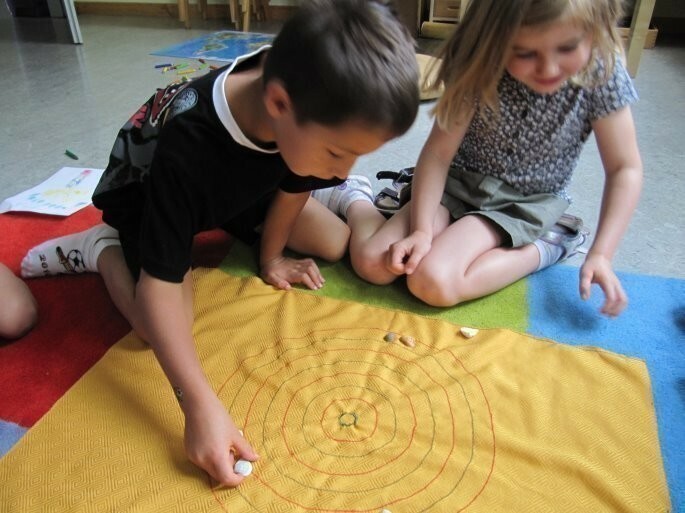 If the child has guessed correctly, he/she can move his large pebble one circle closer to the center. Then this child hides the smaller pebble and lets the next child guess, and so on. 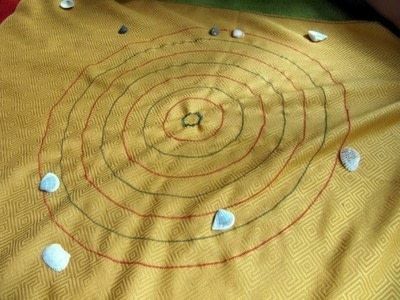 The winner is whose pebble reaches the center of the circles first. 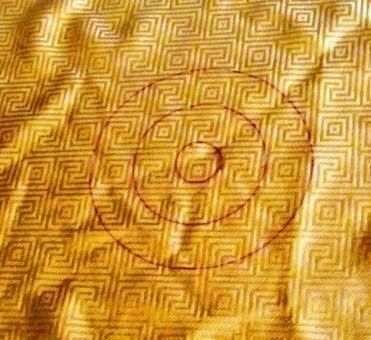 I had an old piece of fabric on which I drew 8 concentric circles. The radius increases approx. 1 inch per circle. 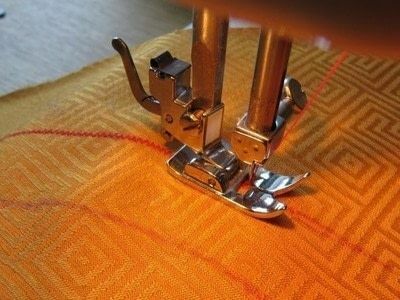 With my sewing machine, I sewed zigzag lines along the circles. I took red and green yarn in turn - you can make it as colorful as you like. Start with one color and sew every second circle, than change the yarn and sew the rest. 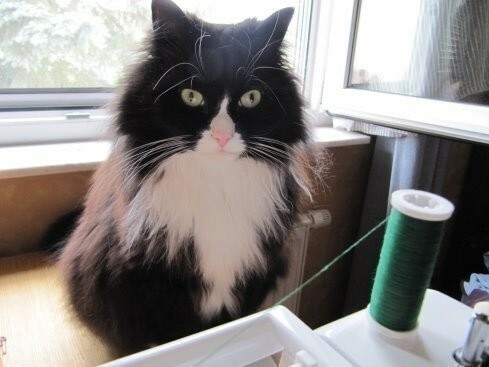 If you have a cat, let her (or him, in this case) supervise your work. Once you're done, take some pebbles and play! I took small and medium seashells because I didn't have any nice pebbles. Your cat kinda scares me...lol! I love the game , thanks for sharing. Oh, thanks so much for your nice comments! I love to play games with the kids, and they're always very focused because they want to get it right. LOL about the cat supervising! Games are always a great way to introduce children to another culture, but yours is super special because you used your creativity to make it and I a sure it will encourage and inspire the kids you teach.